As Somerset Speedway hurtles towards its 20th Birthday, the 'Cases' Rebels are delighted to announce that no fewer than four long-term companies will continue to be on board in 2019. Club owner Debbie Hancock announced that both TQ Exel and Whitepack, along with Salt Express and Holley and Steer Solicitors, have extended their relationship with the Rebels, a prospect that has delighted the Rebels' leader. "I am absolutely delighted to be able to confirm that four of our loyal sponsors have a confirmed that they will be continuing their backing during our 'big' year. It is always very encouraging when sponsors are happy to sign up for another season as it offers a clue that the relationship is working for both parties. To have these organisations back on board again, along with our main team sponsors Cases, provides the club with a good foundation to work on and it is our intent to bring them the success they richly deserve." "Just like Speedway has experienced in recent times, there is a considerable amount of uncertainty in business ongoing at present and so it is reassuring that we can still offer our sponsors some help in putting their name out in the community and here at Somerset we are looking to try and expand our portfolio of sponsors and to be honest, when we can report that long-term backers are pleased to continue working alongside us, it does help in encouraging new sponsors to come forward too." 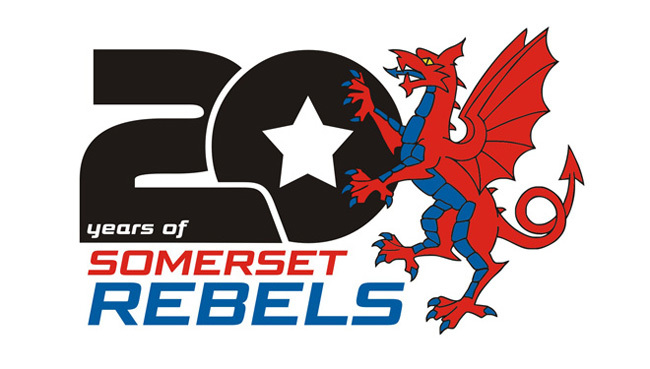 The Rebels are planning a number of initiatives to commemorate their 20th Anniversary, the headline event being a club dinner on Saturday 6th April. Just days prior to the Anniversary Dinner the Rebels will launch their season with a special commemorative Anniversary meeting against Poole - the coming together of last season's SGB Premiership cup and league winners - on Wednesday 3rd April.